The concept of Smart Factory is to revolutionise and enhance the role of human resources within the production plant, makes processes and operational sequences efficient and fluid, significantly improving the levels of productivity achievable, in particular in highly flexible contexts. The reliability of the plant and process and the maintainability, especially of complex systems, gain significant benefit as well. The basic concept is that repetitive tasks with a low level of knowledge content are transferred from humans to machine, software, automation and collaborative robotics. Decisions that can be automated, for example, logic resulting from a defined state of the machine or the process sequencing, are no longer taken by the operator, whose sole role is therefore the supervision of the system. In the Smart Factory, the operator focuses only on important tasks and issues, which can only be managed thanks to the uniqueness of the human contribution, through the integration and correlation of different sources of information in complex and structured contexts. Flexible systems are complex by nature, and their efficiency and full usability depend on many factors. The processing of the huge amount of output information from a network of sensors and monitoring systems, which MCM plants are equipped with and which is generated at any time, is obtained through exclusive algorithms that generate, in a synthetic way usable by the operator, the indicators necessary for the diagnosis of the plant and the process. In the smart factory, this data flow is systematically organised. The operator always has an overall control of the situation, on the basis of which s/he can make immediate and conscious decisions, with both short and long term effects. All these elements together constitute the real driving force behind the high efficiency of systems and processes. 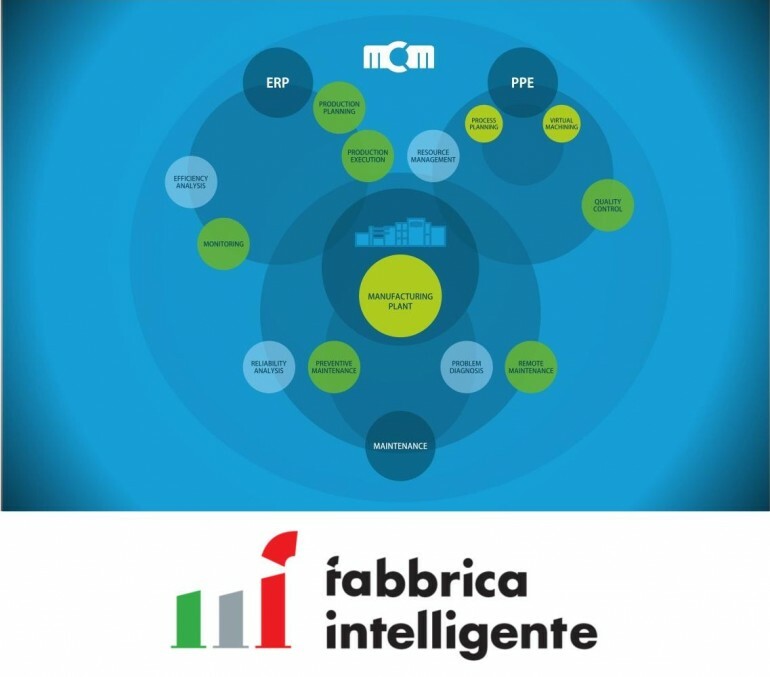 Since 2015, MCM has been a supporting member of the Cluster Tecnologico Nazionale Fabbrica Intelligente, an applied research project endorsed by the Italian government. The specific know-how developed by MCM is the contribution provided to pursue the overall goal of outlining a strategic guide to increase the competitiveness of Italian industries in the world.